Serve your sweetheart breakfast in bed or a romantic dinner for two off of our personalized serving tray. The sentimental message makes this the perfect Valentine's Day gift for the one you love this year. It's perfect for enjoying some romantic quality time together. 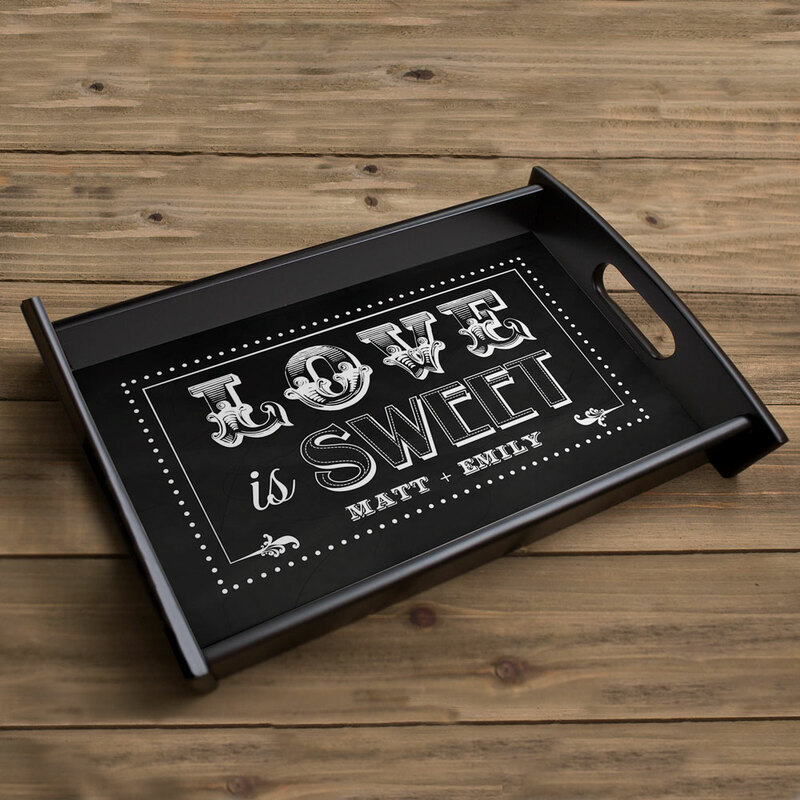 Our love is sweet serving tray measures 8" x 13" and will be personalized with any two names. The classy and sophisticated design of this Personalized Serving Tray makes it a perfect wedding or housewarming gift. Some assembly required. Great gift item . Must assemble but very easy to do so. The personalized serving tray is the ideal gift for my sweetheart! I can't wait for him to see it on Valentine's Day!